Sometimes, working on large-scale pieces is too intimidating or time consuming. Create art cards and ACEOs to use as holiday gifts! Some have difficulty finding time to create art as often as they would like, so this project is perfect for the time-crunched artist. There are also others who find difficulty in working on large-scale projects, so this is an opportunity to work small and gain nearly instant gratification. 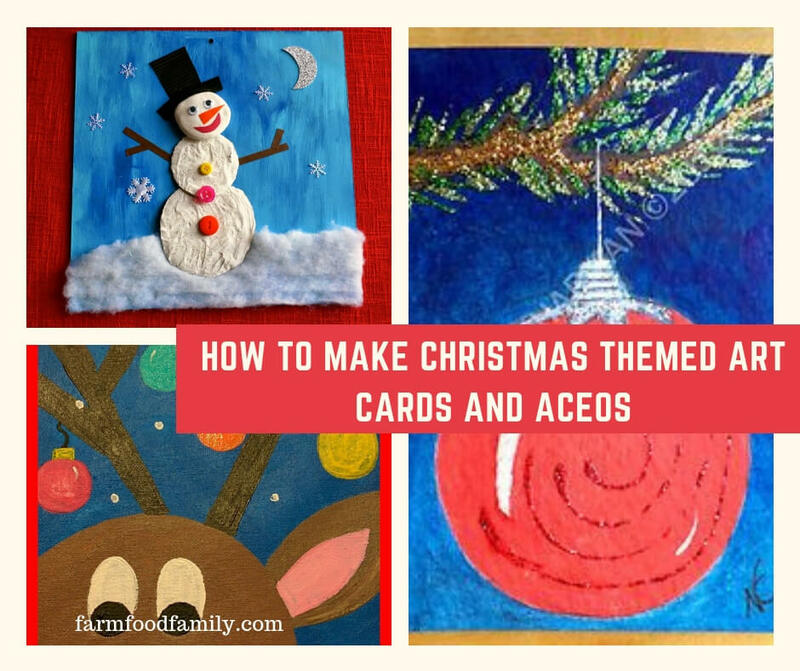 Like with many of the other articles presented in this topic, Christmas Themed Art Cards and ACEOs is an excellent opportunity to introduce a lesson in recycling. Rather than using card stock or other store-bought heavy weight paper as the card base, cut up old greeting cards that would typically end up in the recycling bin. Use the corner punch to punch out either two or all four of the card’s corners. Use construction paper scraps cut to size, rather than card stock, to create a weightier collage on. Create a small booklet to affix to the center of the art card, rather than a snowflake. Write out holiday memories, or a special holiday greeting for the gift recipient. Use small bits of scrap wrapping paper, rather than the foil lined tea wrapper, as the first layer of the art card’s base. Sew gold or silver cording around the edge of the art card to give it some additional glitz and glamour! This is a very quick project, yet it packs a big greeting. In addition to gift giving, use these Christmas themed art cards as additions to handmade greeting cards, within the pages of art journals (or other book arts, such as altered book projects), in scrapbook projects, as Christmas decorations, or as ornaments on your Christmas tree. If you’re not satisfied with how this project comes out, it’s small enough to quickly alter or you could cut it up to use in Christmas themed collages.